Holiday plants may be beautiful to behold, but they can pose a risk to you little furry companion. Many traditional holiday plants are toxic to both dogs and cats, putting them at risk for accidental poisoning. No Christmas is complete without a live tree. Yet, real trees can pose a risk to pets, especially pine trees. A curious pet may eat some fallen pine needles and unfortunately suffer liver damage. 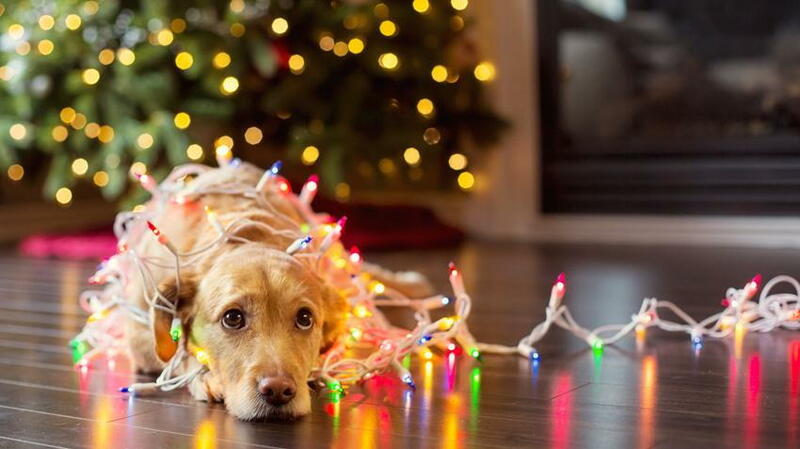 By restricting access to the tree, you can protect your pet from harm. If you have a pet, deck the halls with artificial holly as opposed to the real deal. Holly leaves and berries are extremely dangerous to pets when ingested, and may cause abdominal pain and vomiting. Real mistletoe can have similar results. In severe cases, mistletoe can cause a drastic drop in your pet’s heart rate and blood pressure, or even seizures. Chewing or sucking on poinsettia leaves can lead to vomiting. If your pet ingests poisonous holiday plants, call your veterinarian in Summerfield, NC, for emergency vet care. Many favorite holiday snacks like chocolate, nuts, raisins, grapes, and other holiday candies are toxic to dogs and cats. Make sure your pet is supervised when serving these snacks to avoid accidental poisoning. To be on the safe side, avoid sharing any holiday food with your pet. By getting his own holiday snacks, your pet will be less tempted to snack on yours. Poisonous plants can have a devastating effect on a beloved pet. At the first sign of plant poisoning or any pet illness this winter season, contact your local vet from The Animal Hospital at Lake Brandt, in Summerfield, NC. Call 336-643-2229 today for all your pet care needs. Poisonous plants can have a devastating effect on a beloved pet. At the first sign of plant poisoning or any pet illness this winter season, contact your local vet from The Animal Hospital at Lake Brandt, in Summerfield, NC. Call (336) 643-2229 today for all your pet care needs.